Maryland’s independent wrestling fans will gather at Tall Cedars Hall in Parkville, Md. Saturday, September 26th for Eastern Wrestling Association’s (EWA) Evolution 2K15 event. As the EWA wrestling premier event of the year, Evolution 2K15 will be headlined with a Double Ring Ladder Match Battle Royal. Pitting at least twenty competitors against one another, the match yields two chances for victory. A contract will be suspended above each ring, both affording the man who grasps it the right to challenge any EWA title holder for their respective championship any time they chose within one year; an opportunist’s dream come true. Additionally, both winners will go onto the main event of October’s Last Rites event, a Triple Threat match against the current heavyweight champion. However, the only way to win is to eliminate other wrestlers in traditional Battle Royal rules until only four remain. The surviving athletes will then be in a scramble to set up ladders while holding off their opponents to reach for a shot at championship glory. Wrestlers that fans should keep an eye out for during this exciting match include Pat Anthony, Wes Mercer, Desert Storm and Joey Badami. Following his successful first title defense in an I Quit match against Desert Storm at Summer Sizzler, EWA Heavyweight Champion “Starstrukk” Tjay Sykes will defend his championship against Cory Bush. 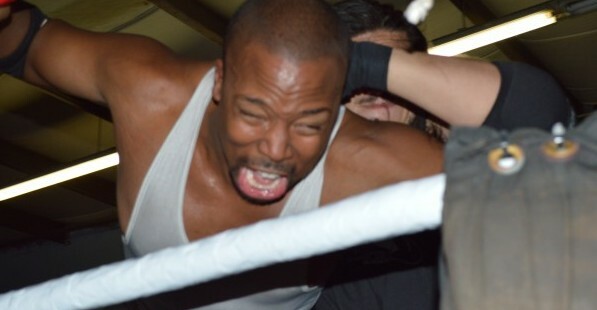 Bush inserted himself into the Heavyweight title picture by ambushing Sykes during his match at Summer Sizzler. 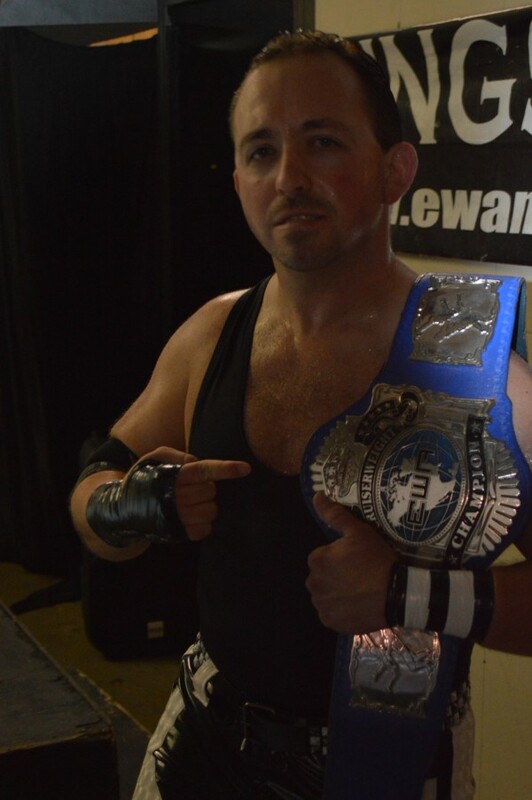 “The Hampden Hammer” Bill Ward is seeking to become the next EWA Maryland Champion. However, Ward will be fighting an uphill battle. 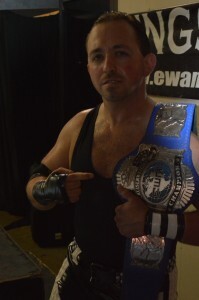 Back in June, the current Maryland Champion, “The Baddest Man in Wrestling” Apollo Cruz, called in a favor to fellow wrestler Desert Storm, who was recorded hitting Ward with his car right outside of the EWA Pain Factory, an injury Ward was still recovering from at the EWA practice show on August 21st. Cruz will be keeping Desert Storm in his back pocket at Evolution 2K15 as well, where Storm will be in Cruz’s corner. To boot, Cruz is coming off of a huge win at Summer Sizzler, where he defeated Ring of Honor’s Steve Corino to retain his championship. The EWA Cruiserweight Championship will also be defended in a Ladder match. Cruiserweight Champion Chris Burns will have to protect his title from five hungry competitors. His opponents will include Davey Havok, who makes his in-ring return following a four-year hiatus from wrestling (Havok will also be featured in the Double Ring Ladder Match Battle Royal), as well the winner of a Triple Threat match that takes place beforehand, featuring J.T. Moore, F.T. Jones and Naranga. EWA Tag Team Champions John Berg and J.D. “Bam Bam” Browning will defend their titles in an 8-Man Elimination Tag Team match against Michael Lanz and J.T. Moore, Dark Horses, and a yet-to-be revealed mystery tag team. To be part of EWA’s biggest night of the year, mark your calendar for Saturday, September 26th. Join the rest of the EWA fans at Tall Cedars Hall in Parkville, located at 2501 Putty Hill Avenue, Baltimore, MD 21234. The doors will open at 6:30 p.m. with bell time at 7:30 p.m. Be sure to be the first there; EWA draws sell-out crowds. Front-row seats are $15, with general admission at $12. Card subject to change. For more information, visit the EWA online and be sure to stop by EWA’s Facebook page.